Closed end lease for 2019 Accord 1.5T EX-L FWD Sedan based on stock #HA21237. Available through April 30, 2019 to well-qualified lessees approved by Honda Financial Services. Not all lessees will qualify. Higher lease rates apply for lessees with lower credit ratings. MSRP $31,015. Total monthly payments $11,844. Vehicle image for display purposes only. Actual vehicle may differ. See Honda Ann Arbor for complete details. Closed end lease for 2019 Fit EX FWD 4D Hatchback based on stock #HA21742. Available through April 30, 2019 to well-qualified lessees approved by Honda Financial Services. Not all lessees will qualify. Higher lease rates apply for lessees with lower credit ratings. MSRP $19,880. Total monthly payments $7,164. Vehicle image for display purposes only. Actual vehicle may differ. 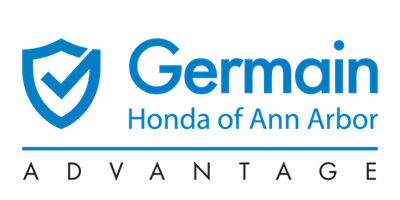 See Honda Ann Arbor for complete details. Closed end lease for 2019 Civic Touring FWD Sedan based on stock #HA21424. Available through April 30, 2019 to well-qualified lessees approved by Honda Financial Services. Not all lessees will qualify. Higher lease rates apply for lessees with lower credit ratings. MSRP $28,195. Total monthly payments $11,844. Vehicle image for display purposes only. Actual vehicle may differ. See Honda Ann Arbor for complete details. – Oil Changes – Tire Rotations – Cabin Air Filters – Transmission Oil Change – Multi-Point Safety Inspection – Battery Testing – Road Testing and More!